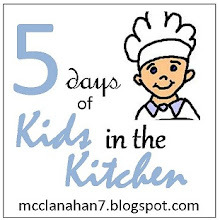 It ended up being a fun week for cake. I will share a couple of them with you and a few stories. I made a cute little fisherman in a stream. This cake was for a young man turning 17. He is into flying remote control planes and this is what his looks like. 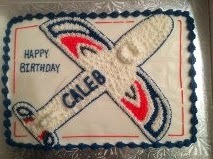 His favorite kind of cake is coffee cake, but he wanted icing with his plane on it. I baked my coffee cake with the crumbles on top & then I just flipped it upside down so I could icing the smooth bottom. I made an extra coffee cake so we could see what coffee cake with buttercream icing tasted like. After trying it with my regular icing I decided to add some almond flavor to it & it was very good. The birthday boy was pleased. This cake was made for one of my regular customers. She orders all of her kids birthday and celebration cakes from me. Well, this time it was her birthday. 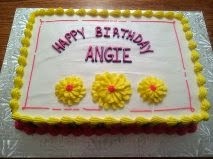 I got a call for a cake for an Angie & as soon as they told me where to deliver it I knew who it was for. I think it was a surprise for her because she sent me an email that exact day to let me know she will need birthday cakes at the end of the month.